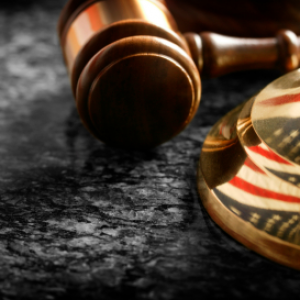 How Do I Get a Default Judgment Against a Servicemember? HOME > Blog > General > How Do I Get a Default Judgment Against a Servicemember? 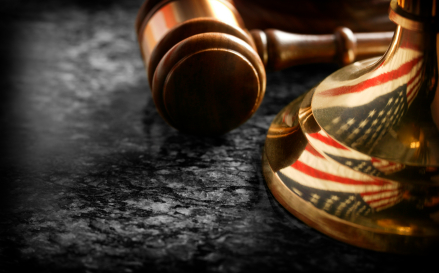 Before you can get a default judgment against a servicemember, you need a military affidavit; otherwise, you may violate the Servicemembers Civil Relief Act (SCRA). This affidavit may be called an SCRA affidavit, military affidavit, nonmilitary affidavit, affidavit of military duty, affidavit pursuant to the SCRA or even another name. Regardless of the document’s name, you need proof of military status before heading into court. Default judgments are often about money owed, but they aren’t always. SCRA rules cover default judgments regarding evictions, foreclosures, repossessions, storage locker enforcement, family and domestic relations laws, and decrees as well. One factor a default judgment has to have is the failure of the defendant to act. For example, if they don’t show up to court or ignore a summons, a default judgment can be entered against them. But in the case of servicemembers, the reason they did not respond might be because they are on active duty. The SCRA seeks to protect servicemembers from default judgments in cases in which their job makes appearing impossible. What Is an Affidavit For? An affidavit swears the facts presented are true. Military verification is just that — verification. Documentation from the Defense Manpower Data Center that comes with a disclaimer saying the information may not be accurate is not helpful in a court of law. The defendant is NOT in the military. The defendant IS in the military. The person signing the affidavit does not know if the defendant is in the military but has done due diligence to find out. Make a checklist before you get a default judgment against a servicemember. This will help you to be sure you aren’t violating anyone’s rights. Use caution when you get an affidavit. A court can impose fines and criminal penalties on you if it turns out to be false. Courts have penalized eager creditors who filed sloppy or incorrect military affidavits in a rush to obtain a default judgment against a servicemember. Use a trusted source for your military affidavit. Depend on the Servicemembers Civil Relief Act Centralized Verification Service (SCRACVS) to provide you the reliable documentation you need to comply with the SCRA — at minimal cost. Our service is especially useful when you don’t have the defendant’s Social Security number, since we can provide verification using other identifying information. We can send you this verification through a streamlined portal. Or, if you have more than 750 inquiries per month, you can use our fully automated batch processing module. This allows seamless integration of SCRACVS data with your company, bank, servicer or attorney — no human interaction necessary. However, we do offer free telephone support to our customers who need help. Courts often require a military affidavit. The SCRACVS provides notarized affidavits that can be in your hands the following day. We guarantee that the response data is accurate, as we use the Department of Defense Manpower Data Center (DMDC) as a source. To order a Military Affidavit, Register or Login.